Since the agency's founding, Peace Corps Volunteers and staff have worked hand-in-hand with communities around the world to implement community-led girls’ education and empowerment solutions at the grassroots level. Today, in celebration of International Day of the Girl, we are proud to announce the expansion of Peace Corps’ Let Girls Learn program to nine additional countries in the next year, bringing the total number of countries with Let Girls Learn programs to 44. These Peace Corps programs receive enhanced training and programming support to promote girls' education and empowerment, increasing the initiative reach to ensure more girls around the world will have the resources and opportunities needed to succeed. 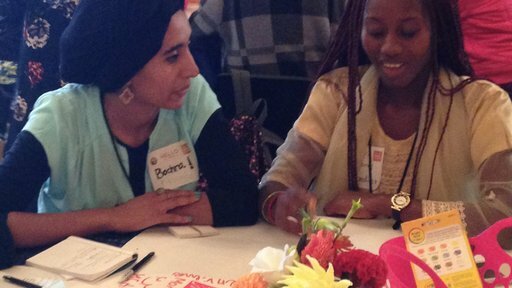 More than 2,800 volunteers have been trained on evidence-based interventions intended to create the conditions necessary for girls to succeed. As of September 30, 330 community-identified projects have been funded through the Peace Corps Let Girls Learn Fund, reaching over 152,000 girls aged 24 and under. In support of Let Girls Learn, Peace Corps Director Carrie Hessler-Radelet and First Lady Michelle Obama traveled to Liberia and Morocco earlier this year to meet with Peace Corps Volunteers and local women and girls to talk about why access to education is something every girl deserves. Several of those women and girls were invited by the First Lady and the U.S. Department of State's Office of Global Women's Issues to attend a special White House screening today of a new CNN film, "We Will Rise: Michelle Obama’s Mission to Educate Girls Around the World." The film chronicles the inspiring stories of many of the Moroccan and Liberian women and girls attending the special screening, six of whom were identified and nominated to be featured by Peace Corps Volunteers. Girls like Karima Er-reyahy, who overcame many hardships growing up in Morocco to become the first in her family to graduate high school, and Satta Dinuwelle, who worked tirelessly on her parents’ farm in Liberia to afford the school fees that allowed her to graduate with a diploma in 2014. To support girls like Karima and Satta through Peace Corps Volunteers’ Let Girls Learn projects, visit the Peace Corps Let Girls Learn Fund. One hundred percent of donations to the Peace Corps Let Girls Learn Fund directly support Volunteer projects and complement the resources that local communities contribute towards these projects.